The cloud identity and access management space (IAM) is heating up. The IAM space has been largely playing out at the edges over the last few years with smaller markets up for grabs. Today, the core of the IAM market – directory services – is being reshaped with an integrated approach to identity management across virtually all of an organization’s IT resources. An example of that innovation is in the cloud IAM feature RADIUS-as-a-Service. While many analyst firms and pundits have been hyping the IAM space over the last decade, the truth is that the market has been dominated by Microsoft Active Directory® for almost two decades now. Virtually every organization used AD. Of course, that made for a relatively boring story, so the IAM coverage was for single sign-on solutions, multi-factor authentication, privileged identity management, governance, and others. In the end, those were small areas of the overall pie. What’s happening in the market today is that the shift to cloud infrastructure, web applications, and non-Windows platforms are driving a new generation of identity management. These solutions are often referred to as cloud identity management, cloud IAM, or even IDaaS (Identity-as-a-Service). All of these terms have meant different things at different times, but their meaning is starting to converge. The next generation of identity management is an integrated approach across cloud, on-prem, and hybrid situations. One cloud-based identity management platform to securely manage and connect user identities with the IT resources they need including systems (Windows, Mac, Linux), web and on-prem applications via LDAP or SAML, cloud and on-prem servers (e.g. AWS, Google Cloud), and wired and WiFi networks via RADIUS. It is this last item that is particularly interesting in today’s environments. 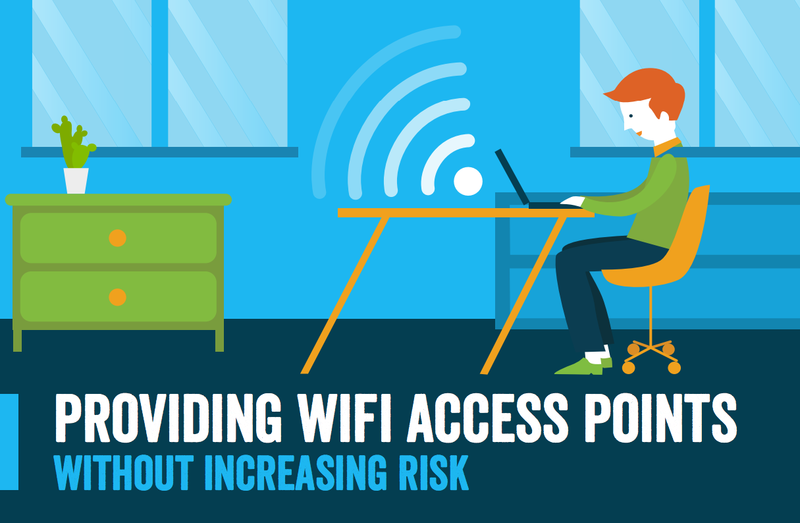 WiFi networks have dramatically changed the security model as well as encouraged IT admins to shift more of the infrastructure to the cloud. The café model of on-prem networks is becoming more popular, but integrating WiFi authentications is harder to merge into the IT environment. Generally you need to implement a RADIUS server, and then connect that back to the core directory. A lot of moving parts, and almost all of them on-prem, defeats the purpose of going to the café style model of your network, where everything is in the cloud. The cloud IAM feature RADIUS-as-a-Service shifts the entire RADIUS and directory services infrastructure to the cloud. Further it integrates the two platforms so there is no work for the IT admins to do. A user is created in the virtual identity provider and then access can be authenticated via RADIUS (LDAP and SAML too, among others). The cloud RADIUS service handles all of the heavy lifting and there is no installation, configuration, or maintenance of the RADIUS infrastructure. 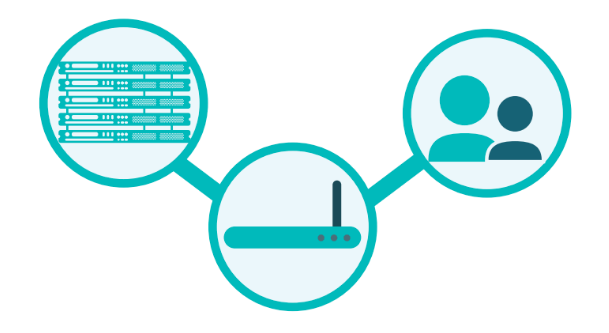 You simply point your WiFI network to the virtual RADIUS server in the cloud and the Directory-as-a-Service® platform does the rest for you. 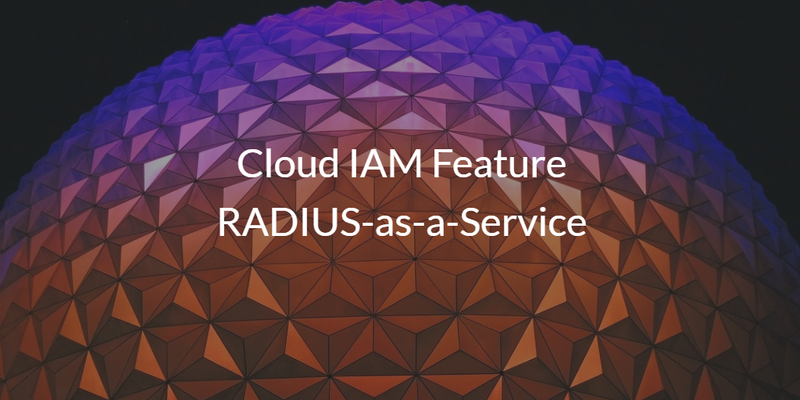 If you would like to learn more about the cloud IAM feature for RADIUS-as-a-Service, drop us a note. Or, sign-up for a free cloud IAM account and check out the virtual RADIUS service for yourself. Your first 10 users are free forever.